Son of the yesteryear actor Jeetendra and brother of successful television show and movie producer Ekta Kapoor, Tusshar Kapoor is an Indian actor and producer best remembered for his portrayal of a mute Lucky in Golmaal. Although he holds a degree in business administration from Ross School of Business at the University of Michigan, Tusshar Kapoor first made his foray into the entertainment industry by assisting David Dhawan on a couple of movies, following which he undertook acting lessons from Roshan Taneja and Mahendra Verma. He then made his acting debut alongside in Kareena Kapoor Khan in 2001 with Mujhe Kuch Kehna Hai, which won him the Filmfare Award for Best Male Debut. 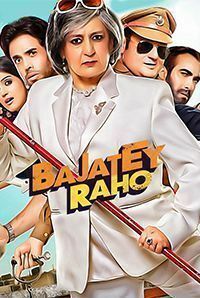 Following his debut, he went on to appear in a string of movies such as Kyaa Dil Ne Kahaa, Jeena Sirf Merre Liye, Kucch To Hai, and Gayab, however, none of these movies were commercial successes. It was the adult comedy Kya Kool Hai Hum, featuring Riteish Deshmukh in the lead alongside him, that did commercially well at the box office. Next, he played the role of Lucky in the Rohit Shetty-directed Golmaal, which won him immense praise. In 2016, Tusshar became a father to his son Laksshya, whom he fathered through an IVF process. Some of his mother projects include Shootout at Lokhandwala, Dhol, Shor in the City, The Dirty Picture, Shootout at Wadala, and has been a part of the Golmaal film series, featuring in Golmaal Returns, Golmaal 3, and Golmaal Again. 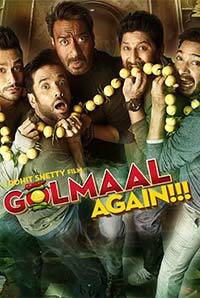 The fourth installment of the Golmaal series, Golmaal Again is Tusshar Kapoor's first movie to earn INR 200 crores.